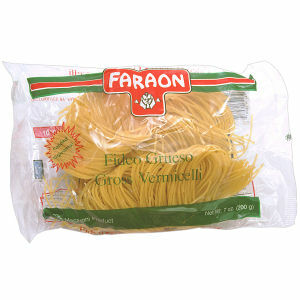 Faraon Thick Fideo is specifically made for those that like to really feel the taste of pasta like no other. This pasta goes great with your favorite meats, chicken, pork, beef, or your favorite cheeses. Enjoy the taste of Faraon.